Partnerships are everywhere in the online casino world and iSoftBet has found one of the most impressive ways to use it's recent deal to expand in amazing ways. Through a new partnership deal with EveryMatrix, iSoftBet has grown it's access to the online casino market through expansion on the CasinoEngine platform, an independent based in the United Kingdom. EveryMatrix brings a wealth of talent and knowledge to the table with their impressive portfolio carrying successful software for sportsbooks, online and real world casino operators, and game management platforms that allow for total vendor control. Their products, thus far, have managed to break into the multi millions of user transactions completed monthly, an added bonus to the offerings that iSoftBet was already putting forward. Not only will iSoftBet be continuing with their currently hosted games material but they will be adding upwards of 80 new ones to the list through the CasinoEngine platform. Users will now have the option of playing games supported by HTML5 and will get to experience how much EveryMatrix has learned through their years as they make their first venture into branded online casino games. So, not only will they be showing off the things that they've grown successful doing so far, they will also be displaying an entirely new skill set that is sure to compliment their existing product lines. Having such a strong background as a provider in the online gaming world, EveryMatrix has grown and expanded quickly in only five years that it has been in business and is sure to bring added value and diversity to iSoftBet's product base. 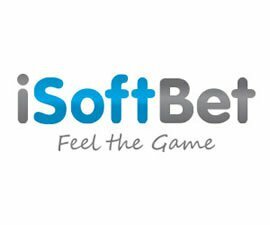 This long-term partnership will see iSoftBet moving into not only the HTML5 realms that was mentioned above, but also into the Facebook social gaming sphere, a new platform for online sports betting, and exclusive licensed product moving forward.